Factropolis -- A Fun Fact Every Day! 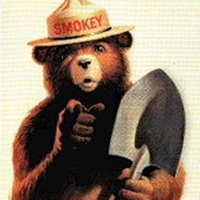 : The museum that housed the largest collection of original Smokey the Bear memorabilia was burned to the ground by an arsonist. The museum that housed the largest collection of original Smokey the Bear memorabilia was burned to the ground by an arsonist. This is not a true fact.